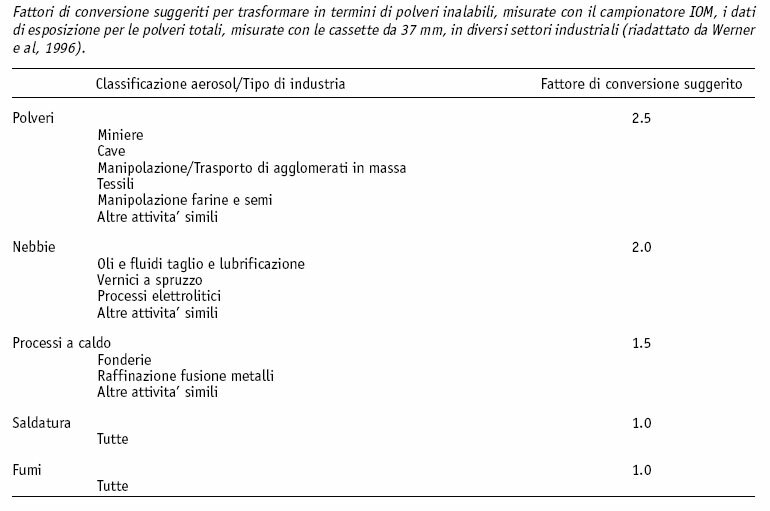 Several industrial and craft processes cause the production and the realease into the atmosphere of dust particles of different dimensions. According to their dimensions, these particles can have different effects on our breathing system. The largest ones only enter our nose and our mouth, but the finest ones, passing through our larynx, can reach our lungs. 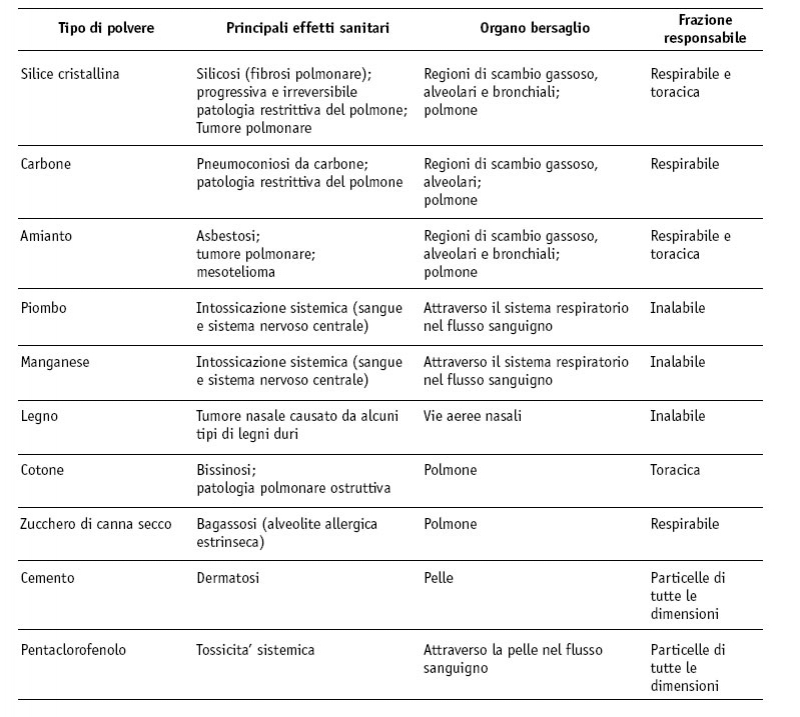 The table below shows some examples of dangerous dust particles which may cause health problems.